Your Extraordinary LIFE (YEL) started in 2009 as a twice-per-year publication before moving to three issues per year from 2010-2017. In 2018, University leadership made the decision to publish a larger, more elegant version of the magazine just once per year that our alumni and friends could be proud of. YEL features an in-depth look at all things Life University, from alumni and student human interest stories to recaps and previews of the University’s biggest events. 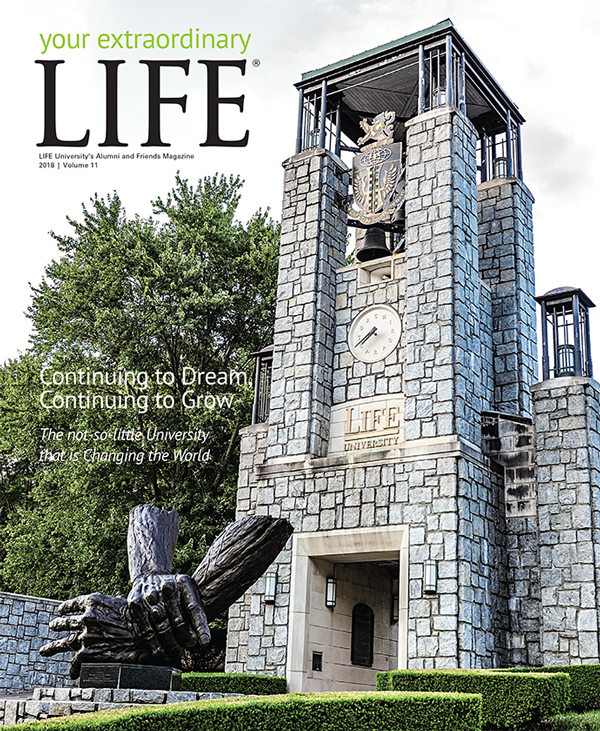 If you are a proud Life University alumni, friend or supporter, this publication is one you can’t miss! View our latest issue below. To see all previous issues of YEL, please click here.